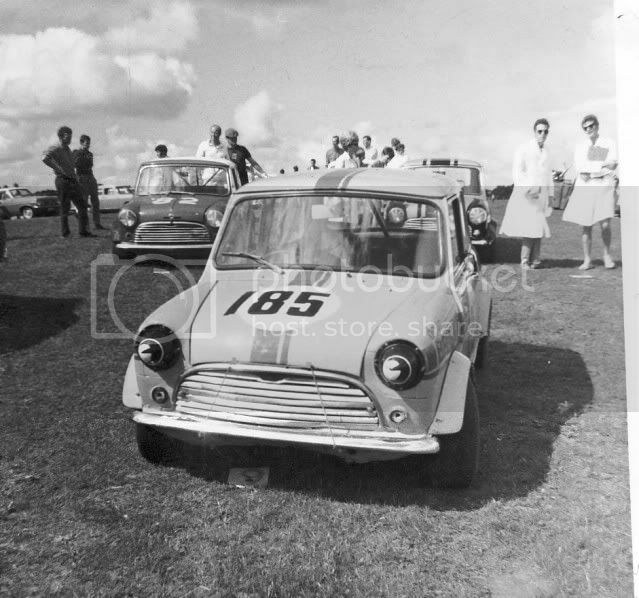 Racing Minis have always provided excellent racing and a great spectacle. 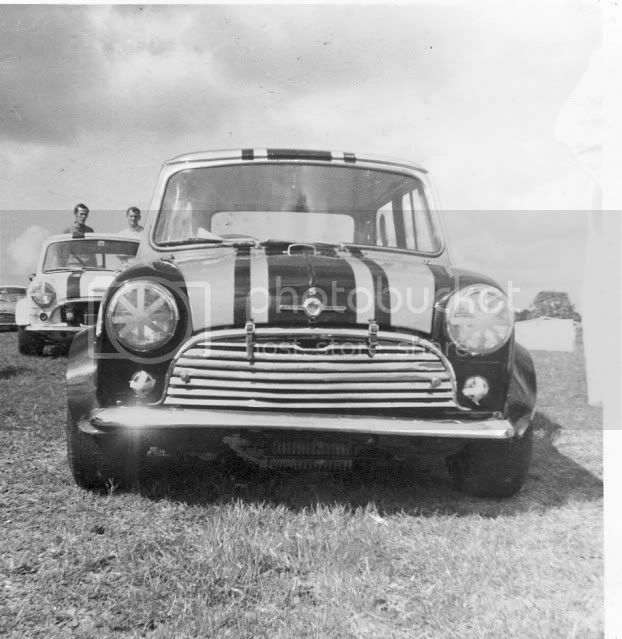 The under 1000cc class through the 60s and 70s was well subscribed with the fine little BMC creations - and a few Hillman Imps kept everyone honest. 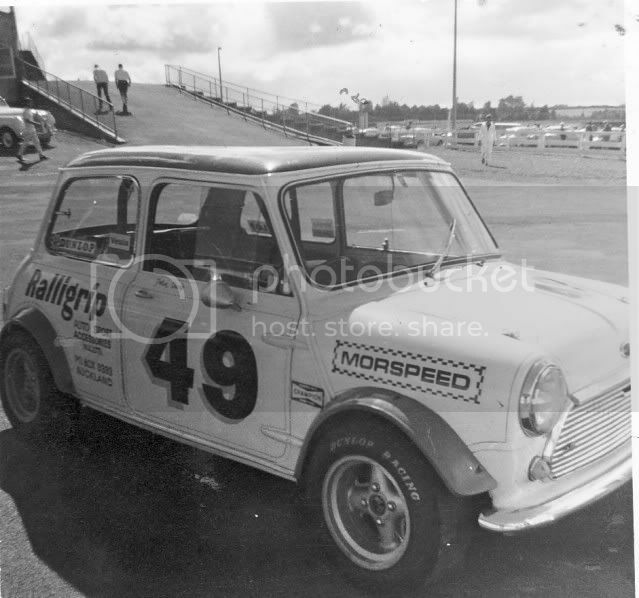 Here are a few images from Pukekohe during the heyday of Mini saloon racing. Last edited by Shano; 06-30-2011 at 01:55 AM. Great idea Shano! This should be pretty popular. 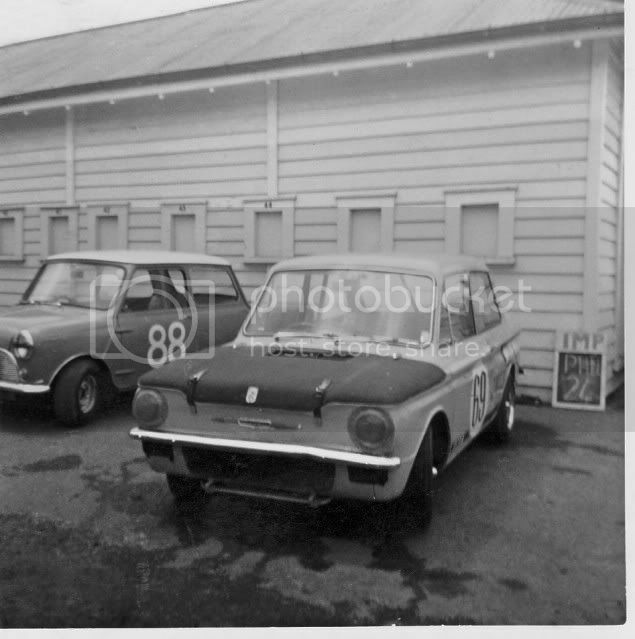 Whose is the #165 Imp? OK.....we might get into this. Foggy, can you get A into G and write something then I may be able to reply! I LOVE Imps. 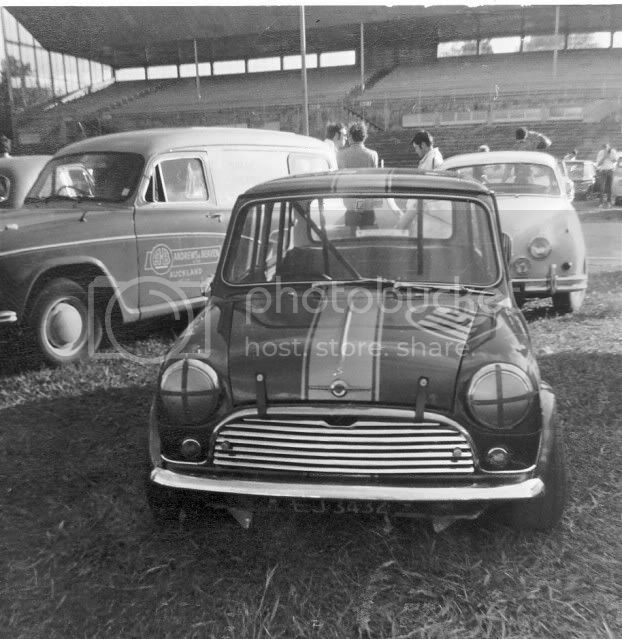 They make great looking race cars when fitted with flared wheel arches and tiny fat Minilites. George Bevan fielded a few examples in the UK very successfully. I've no idea where I got this shot from, I seem to have collected quite a few over the years. 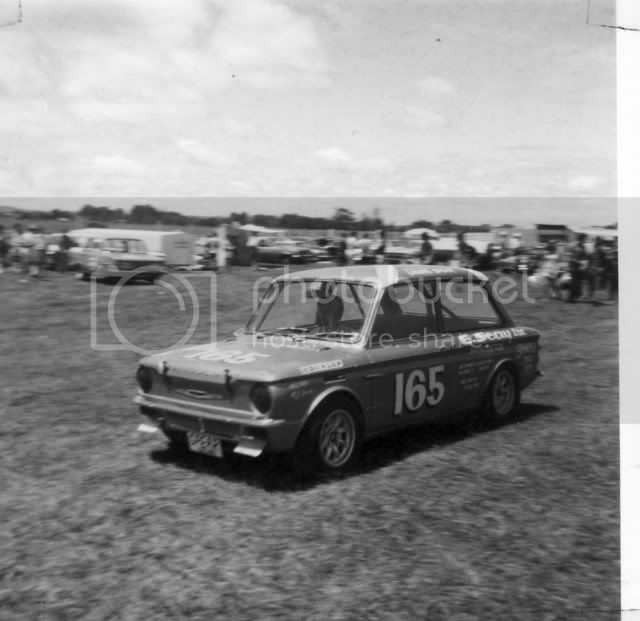 It was called the Braemar Imp and the sponsorship was E Seay, which was an earthmoving company in South Auckland. I don;t know more than that. 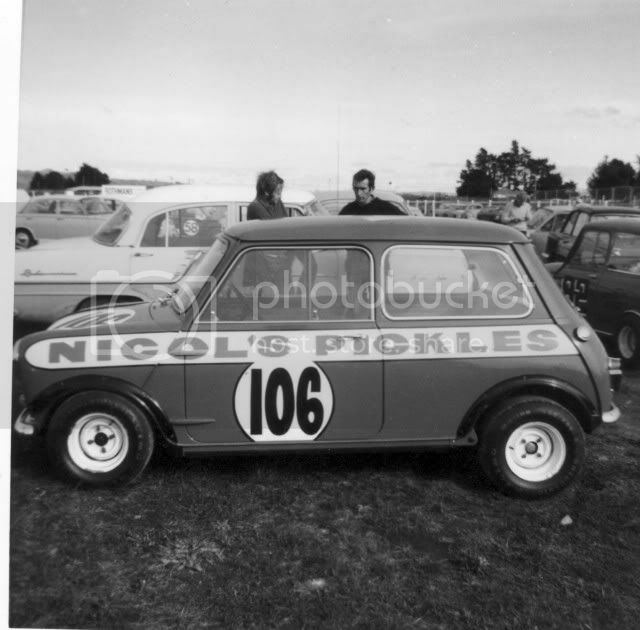 The NZ saloon car championship was decided by the driver with the greatest number of points over all the classes. 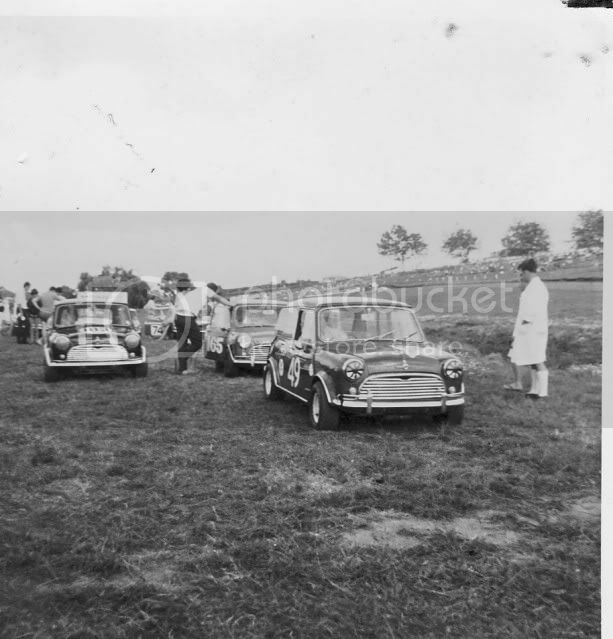 Last race of the season, Rodger Anderson in his 1275 Mini Cooper and Spinner Black in his Camaro were tied. They decided on a match race, one-on-one to decide the title. To this day it remains one of the most exciting spectacles I have ever seen. The Camaro blew past the Mini along the back straight at Puke, with the Mini diving past under brakes at the hairpin, the Camaro overtaking again down the pit straight and the Mini returning the favour around turn one. The crowd was on its feet going nuts. 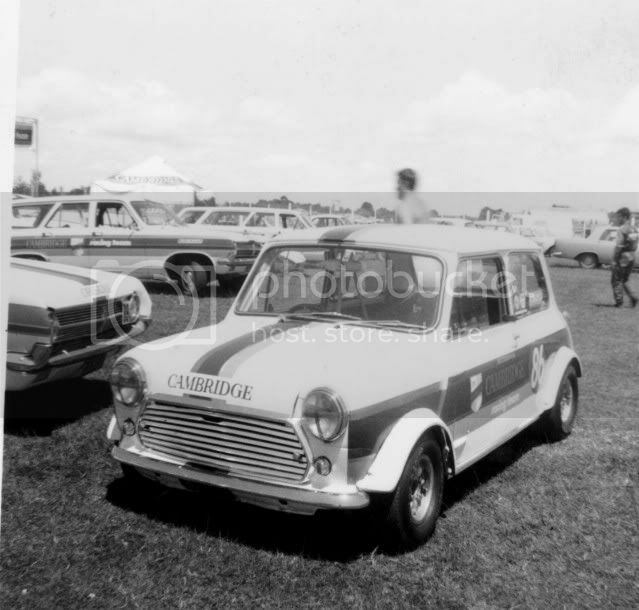 Of course the Camaro should win, especially at Pukekohe, but the Mini was putting up a spirited defence and the crowd sensed an old-fashioned underdog-made-good moment. 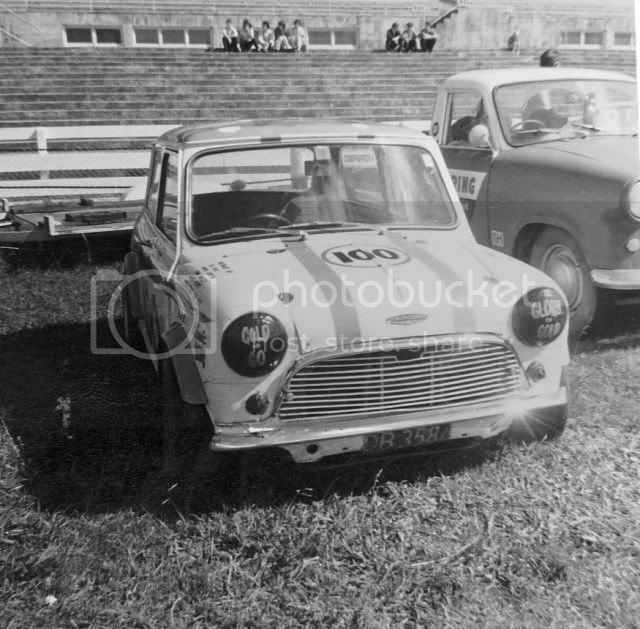 Spinner Black won and next year Anderson trotted out the magnificent BMW 2002Ti Alpina. Last edited by Shano; 06-30-2011 at 02:03 AM. I think these cars provided some of the most exciting racing around. How many times did the lead change in a single lap. I can remember two or three wide coming over Rothmans heading for the chequered flag and unless you were on the line it was a case of wait for the call. I loved Roy Harringtons bright yellow Imp and yes it was quick but seemed to suffer from mechanical gremlins too often. 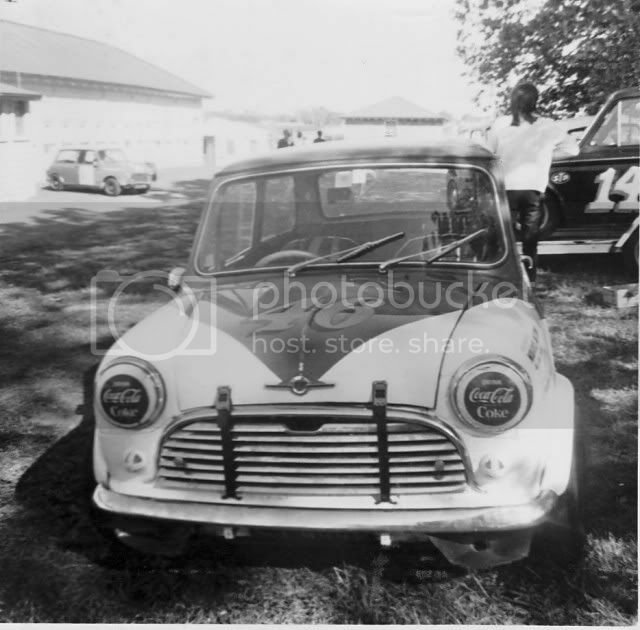 What is car #72 in your last post Roger? 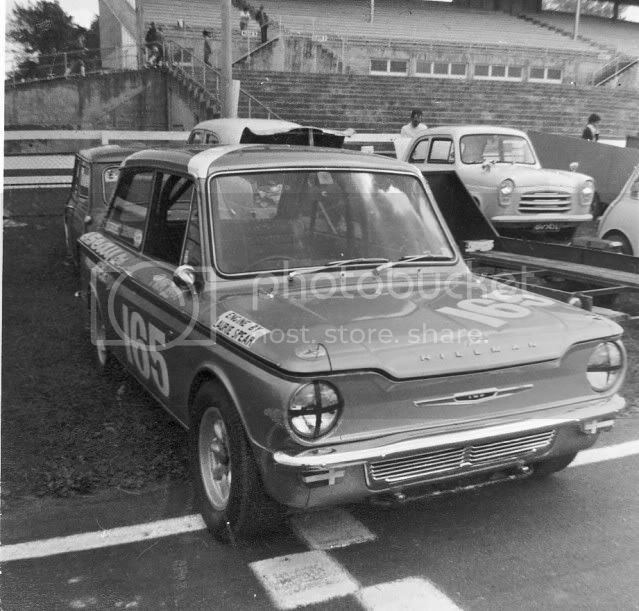 Car 72 is Alan Woolfe's Triumph Vitesse - obviously it had a streamlined nose. I saw him swap it back to a normal road-going bonnet once, complete with lights, to drive home. Thanks Shano, that one really had me beat.